The hotel is embedded in a garden above the Ruhr, on the opposite site of the Broich Castle and the city hall. Within walking distance you can find the old town of Mülheim, several shopping streets, the Ringlokschuppen, the water station and numerous restaurants. The Ruhrtalradweg passes behind the hotel. A possibility to go for a walk or a run close to the Ruhr. Free parking at the hotel is sufficiently available. Access to the hotel is not barrier-free. 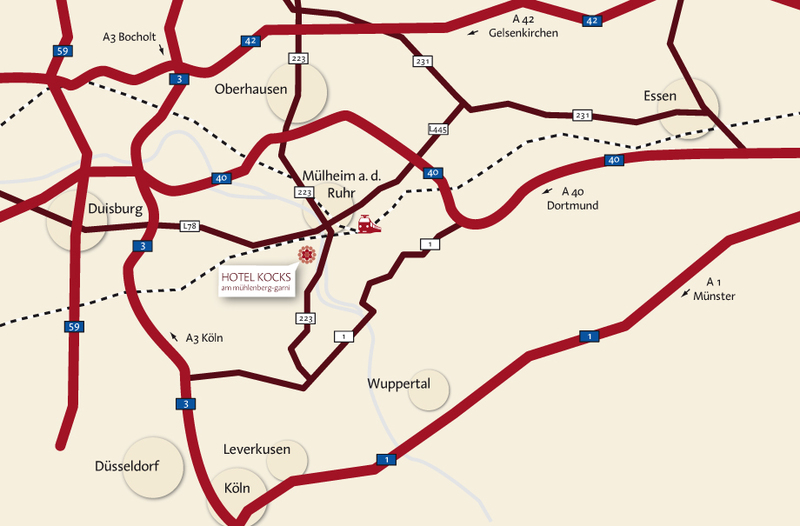 Hotel KOCKS is centrally located in the Ruhr area. 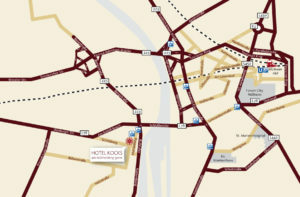 There is easy access to the surrounding cities Oberhausen, Essen, Duisburg, Dusseldorf, as well as the Messe Essen and Messe Dusseldorf and the airport Dusseldorf. Take the train to Mülheim central station. From there, take tram line 901 and 102 to Broich Castle station, which is an approx. 3-minute ride. 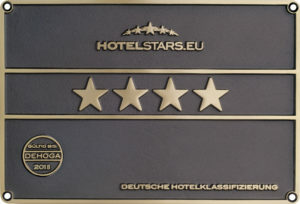 From there, it is only 50 metres to our 4 Star Hotel KOCKS. 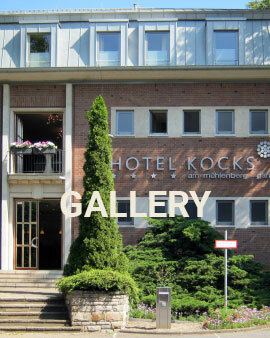 Hotel KOCKS has sufficient parking spots for cars in front of the hotel. The parking spots are included in the room price. Take the A3 towards Oberhausen, exit a junction 16 Breitscheid and take the A52 towards Essen. Exit at junction 25 Breitscheid and drive towards Rat.-Breitscheid/Mülheim a.d.R.-Süd, continue towards Mülheim a.d.R. on the B1/B227. Take the A2 towards Dortmund, exit at junction 12 and take the A45 towards Frankfurt a.M., exit at junction 5 Dortmund-West and take the A40 towards Essen/ Bochum-DO-Kley, exit at junction 18 Mülheim a.d. Ruhr-Winkhausen and drive towards MH Winkhausen. Take the A40 towards Essen/Oberhausen, exit at junction 16 Mülheim a.d. Ruhr-Styrum and take the B223 towards MH-Styrum/Oberhausen.